Golden Gate Park was only a few minutes walk from my old place on Waller Street. So I was able to visit this delightful man-made oasis very frequently, sometimes three times a week, after work. If I wasn't walking down Haight Street, past The People's Café, I'd stroll down Waller Street and gaze at the artwork on wheels that would invariably be parked on the few blocks between my Victorian flat and the east entrance to the park. 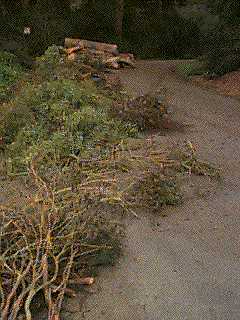 The El Niño storms of 1997, and the fierce storms of the years before that, laid much of the park's old trees to waste. I toured both the park and its panhandle the day after the last big storm. A tree fell on a car, and many limbs fell. Gardeners spent weeks cutting up the debris, and then marking up the remaining trees with orange paint to mark where they would be pruned. 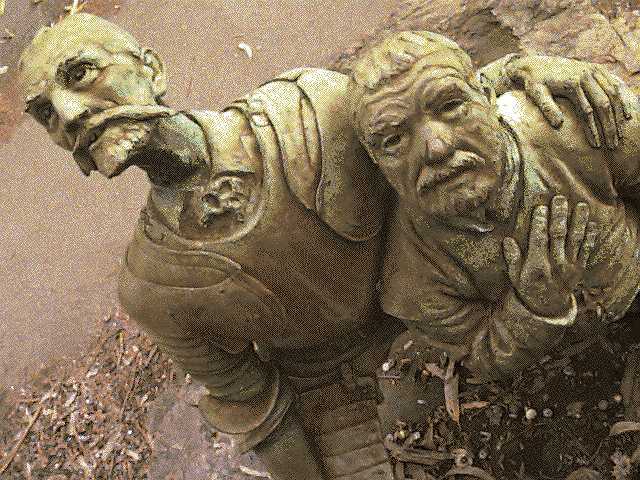 My favorite spot is the statue of Don Quixote and Sancho Panza gazing up at a bust of their creator, Cervantes. 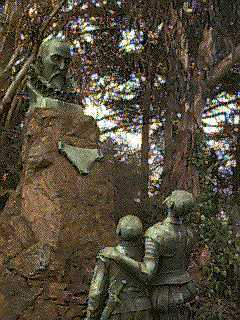 It's always been such a calming spot, sitting next to the bust, looking down on those expressive faces. If you're looking for it, go halfway between the Conservatory of Flowers and the one-way drive that goes between the De Young Asian Art Museum and the California Academy of Science. It's there, on the right, as you're leaving JFK Boulevard.